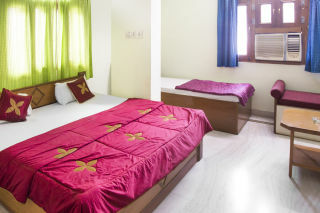 Located in the heart of the city, this is an offering of a private room in a heritage stay and is ideal for backpackers. 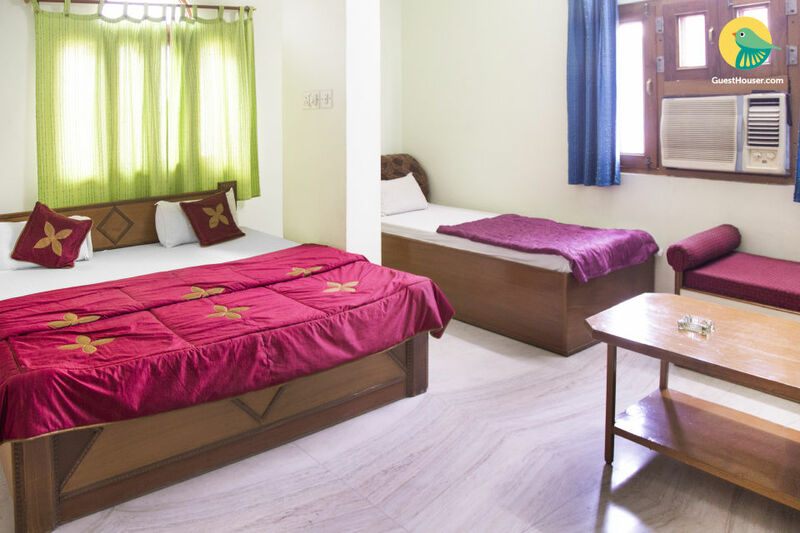 The property is located just 1.3 km away from City Palace, and the room on offer can accommodate up to four people. Parking is available here, as are the services of a caretaker. 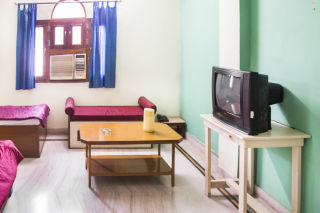 Amenities such as room service and pick up and drop are offered. Your Space The room on offer is air-conditioned and commodious. 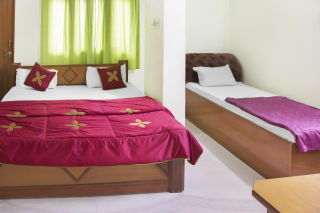 It is furnished with a plush double bed, a single bed, a divan, a television for entertainment, and a coffee table. The en suite washroom is tiled and appointed with western sanitary ware and modern fixtures. Guests are requested to provide valid identification at the time of check-in. Breakfast is provided on chargeable basis.